For more than 90 years, the Caterpillar® company has been driving innovation across their entire line of machines. The company has built its reputation on heavy equipment and power systems that incorporate sophisticated technology to make operation and maintenance simpler, more intuitive and more economical. Gregory Poole is your exclusive Cat® dealer in the eastern portion of North Carolina. In addition to selling the latest machines by Cat and allied brands, we offer long-term technology and equipment management support for government agencies in our area. 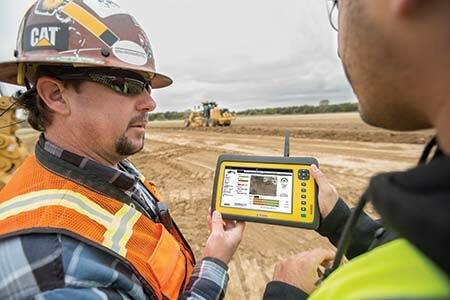 Here’s a look at some of the powerful technology exclusive to Cat that’s helping our clients stay productive and profitable. Whatever role you need us to play, it starts with the insights available only through VisionLink and Cat GPS technology. To learn more about your options, give the Gregory Poole service team a call today. We’ll assess your fleet and internal capabilities to determine the best package for you.